The Colombian Film Festival ha cerrado otra inolvidable versión y agradece a toda la audiencia por su apoyo incondicional. The Colombian Film Festival has closed another unforgettable version and wants to thank the audience for their unconditional support. La ventana cinematográfica más importante de Colombia en el mundo anuncia los ganadores de su séptima versión. El jurado compuesto por la escritora y realizadora Cèlia Novis , La productora y programadora María Pérez Brown y Ansgar Voght, productor, director creativo y programador de Forum en Berlinale han escogido los ganadores en las secciones de Ficción, Documental y Cortometraje. The most important cinematographic window of Colombia in the world announces the winners of its seventh version. 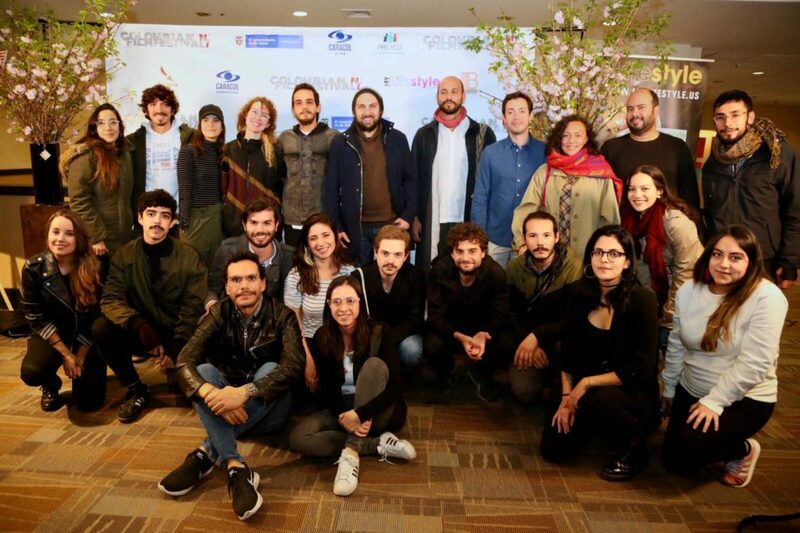 The jury composed by the writer and director Cèlia Novis, the producer and programmer María Pérez Brown and Ansgar Voght, producer, creative director and programmer of the section Forum at the Berlinale have chosen the winners in the sections of Fiction, Documentary, and Short Film. Esta película hermosa y conmovedora documenta el viaje de estas cuatro hermanas a medida que se conocen durante un viaje por carretera para dejar a Sofía y vivir en la casa de una tía mayor. El escritor y director, Rubén Mendoza, cuenta con maestría la historia del viaje de estas mujeres de manera discreta, lo que nos permite presenciar la madurez de Angela a medida que se acerca a sus hermanas, descubriendo su abrazo y protección y su cuerpo en el camino. La fotógrafa Sofía Oggioni captura hábilmente la belleza y la sensualidad de las mujeres, así como el rico paisaje de Colombia en este viaje por todo el país. This beautiful and poignant film documents the journey of these four sisters as they get to know each other during a road trip to drop off Sofia to live at an older aunt’s house. Writer & Director Ruben Mendoza, masterfully tells the story of these women’s journey in an unobtrusive way, allowing us to witness Angela’s coming of age as she grows closer to her sisters, discovering their embrace and protection and her body along the way. Cinematographer, Sofia Oggioni, skillfully captures the beauty and sensuality of the women as well as Colombia’s rich landscape in this trip across the country. La historia de Colombia no se puede entender sin las imágenes del protagonista de esta película, Jesús Abad Colorado, quien se abre camino hacia el perdón a través de los retratos de las víctimas de la guerra y regresa a los mismos lugares donde fotografió los asesinatos que lo conmovieron tanto. The history of Colombia cannot be understood without the pictures of the protagonist of this film, Jesus Abad Colorado, who himself makes a path towards forgiveness through the portraits of the victims of war and returning to the same places where he photographed the killings that touched him so much. “The witness” is a very powerful film, very important for Colombia’s history in these days and to understand the current delicate moment that the country goes through walking towards peace, doing justice with the victims but trying to forgive to go look forward together as a hopeful and hate-free society. Best short film and a special mention to the director for the powerful realization of this mythical story, brilliantly executed.